Display the current ambient temperature and the historical average for the certain day on an LCD using Raspberry Pi, aWhere API, and SunFounder libraries. 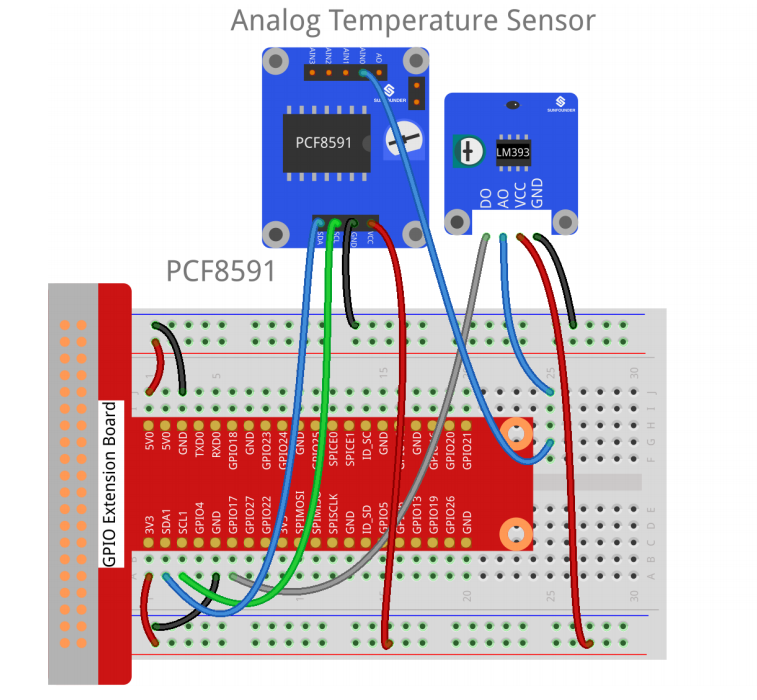 I used the Sensor Kit V2.0 from SunFounder, which comes with an analog temperature sensor, and their PCF8591, which is a data acquisition device. I used their sample wiring which is seen below and can be found here. Once wired correctly, use their sample code to test the configuration. You can download that here. Their code comes in both python and c, we will be using python. 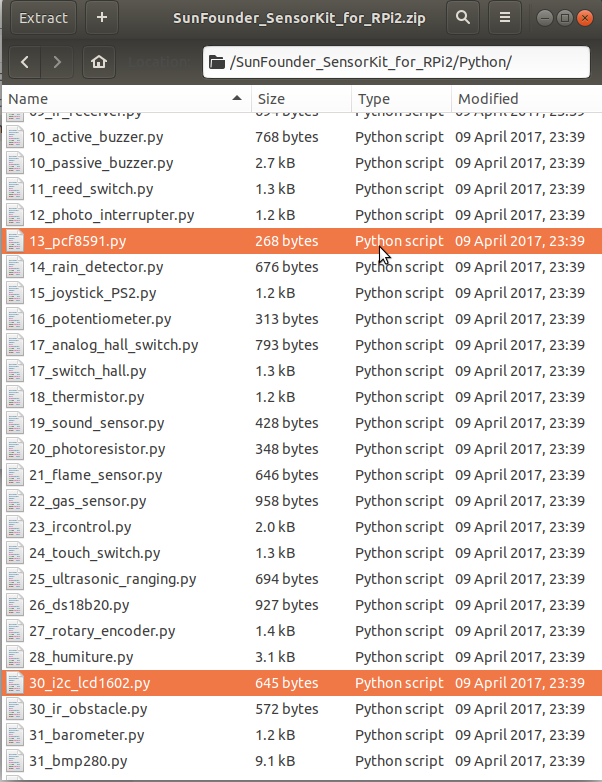 If you are doing this remotely, then you can download the code on your computer and use FileZilla to move it to your Raspberry Pi. To test your wiring you'll want to run the file '18_thermistor.py'. The output should look something like this. The LCD I used was interfaced to only have four wires. Leave the temperature sensor wired. 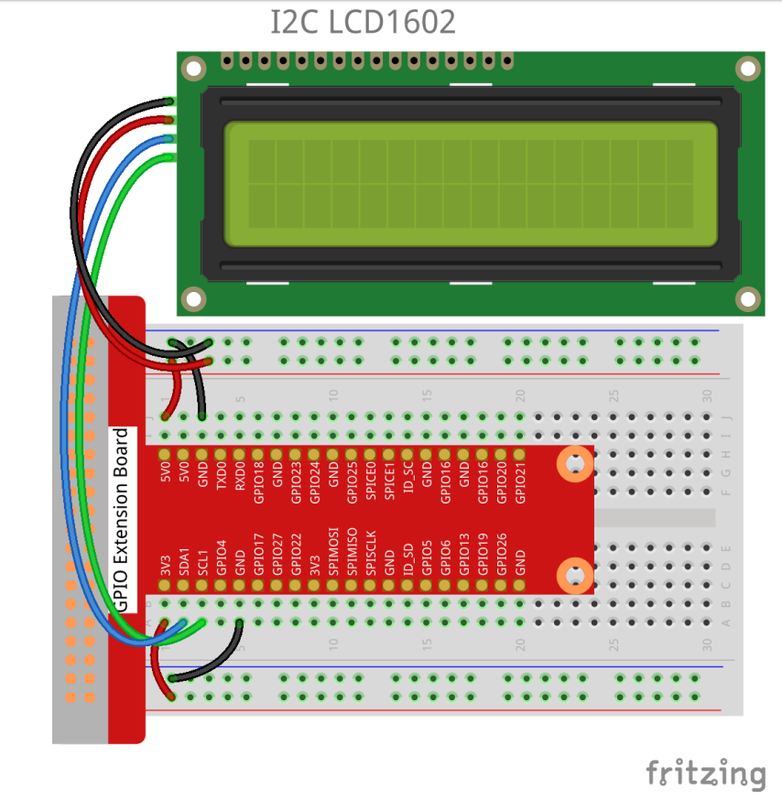 Following the wiring provided by SunFounder, setting up the LCD is pretty simple. The LCD and the temperature sensor wiring overlap on the 'SDA1' and 'SCL1' pins, and this is okay. It works sharing those pins. If you are curious as to why, the simplest answer I found is here in the first reply. 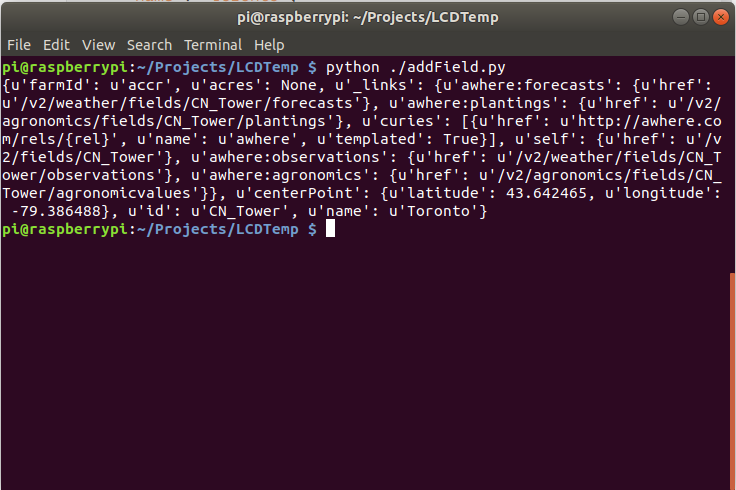 To display the current temperature on the LCD, create a new directory, mine was 'LCDTemp', and copy the two files highlighted below from the SunFounder python code directory, into your new directory. 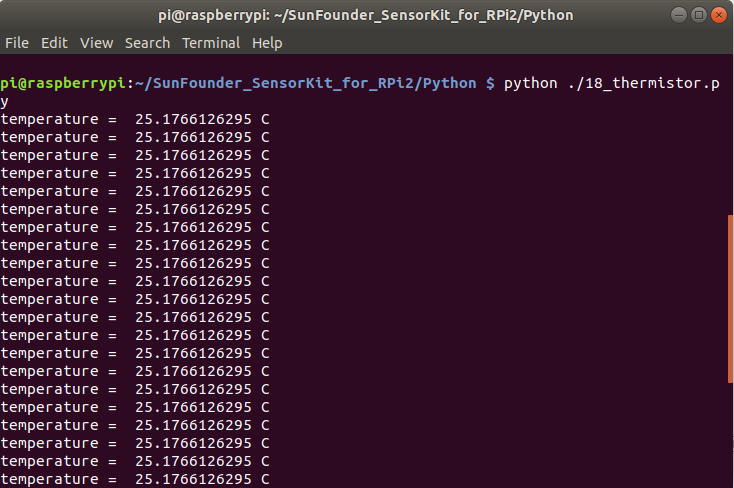 These are libraries specific to the SunFounder Kit hardware (I haven't tested if they work with other sensors). 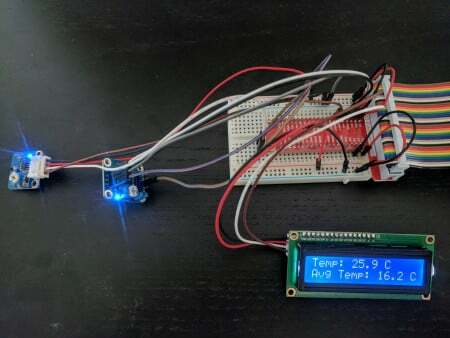 If wired correctly, the code above should turn out something like the photo below, depending on your temperature. You can sign up for a free aWhere account here. Once signed up, go to 'My Account' in the top right hand corner and click on the 'My apps' drawer. Inside 'My Apps' click the blue 'Add a new App' button as seen below, and name it. By creating an app you will receive a 'Consumer Key' and 'Consumer Secret', we'll use those to get an authentication token in the code below. aWhere seems to be some kind of agriculturally aimed service, so naturally, to specify a location to get the temperature from we'll need to 'add a field' to our app. The documentation for adding a field can be found here. I originally tried two different ways using 'requests' and 'urllib' but couldn't get it working. The only python example I found that worked was in the answer section here, and that's what I based the code below off of. Now that you have successfully created a field, you can now pull historical weather data for that geographical location. aWhere's documentation for this can be found here. This step is pretty simple, the code below should just return the average temperature for that day over the last 10 years. The 15 in the picture above is the average temperature in Celsius. 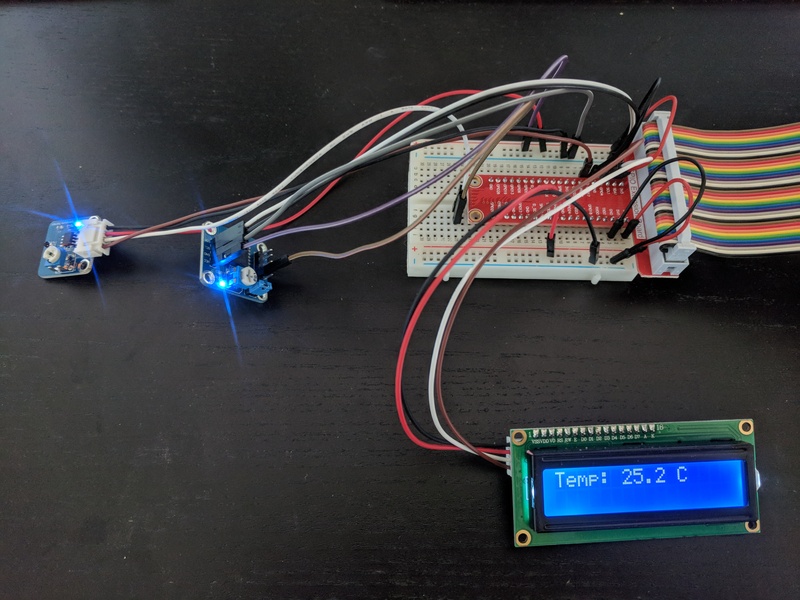 Now that we have the current ambient temperature, as well as the average historical temperature, its time to put it all together and display it on our LCD. The historic temperature data only goes down to the individual day, so the code is designed to update the ambient temperature every second, but the average temperature only once a day. It compares the day using a counter 'currDay'. The code has been commented with explanations, but the final product should look something like the image below. So there you have it, if you have any questions or project recommendations please comment. All the code in the project can be found here. Below is a video of the LCD reacting to my body heat. 3rd year computer engineering student.